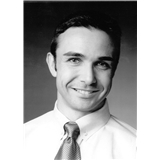 Dr. Scott Sylvia (Cambridge) - Book Appointment Online! Dr. Scott Sylvia did his undergraduate training at UMASS Dartmouth and received his Bachelors of Science in 1984 and his Doctorate in Optometry in 1986 from the New England College of Optometry in Boston. In 2000, he received his MBA with a concentration in Health Care administrative management and Marketing from Bryant College. He opened his Cambridge office in Feb 1998. He was a staff optometrist at Harvard Pilgrim Health Care in Rhode Island from 1989-1997. He was involved in numerous projects during his tenure there. Along with seeing patients full time, he was chairperson of the Practice Standards Committee for Optometry and Ophthalmology, a member of the HIV/AIDS Act-One committee, the management/supervisory council, the Epicare computerized medical records committee, and was co-supervisor of the vision care department in the Lincoln Health Center. He was also a Diversity ambassador/trainer, and member of the corporate diversity steering committee and the corporate Health Triangle steering committee. Dr. Sylvia performs primary eye care services and specializes in contact lenses He is part of the Leadership Team from Vistakon / Johnson and Johnson. He is also part of the Clinical Faculty from the New England College of Optometry and trains interns in his offices. He is an affiliate doctor of the TLC Laser Eye centers and co-manages patients who undergo laser vision correction. He is a member of the American Optometric Association, the AOA Contact lens and Cornea Section, The Mass Society of Optometrists, the Human Rights Campaign Federal Club, The CRI 1500 Fund, and the Greater Boston Business Council. He served on the Board of Directors of the Greater Boston Business Council as a Director at large, Treasurer, and then President. He is also a certified fitness professional and has been teaching fitness classes for 25 years.. He holds certifications through, and is a member of AFFA, ACE, AAAI/ISMA, and Johnny G. Schwinn.